The most obvious starting point is A Christmas Carol by Charles Dickens. The most famous Christmas ghost story of them all, Dickens's classic tale of Christmas past, present and future has been adapted for stage and screen more times than one could possibly count, but the original text is still full of surprises and clever witticisms that are often lost in live productions. 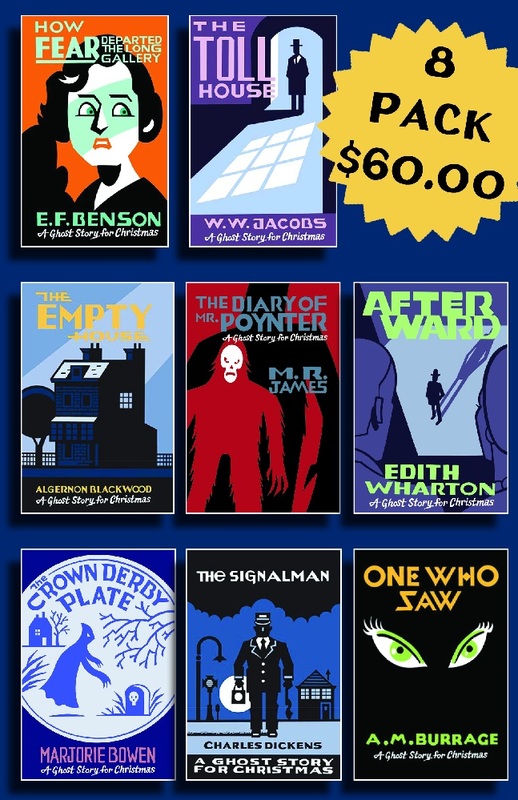 Bibloasis's Ghost Stories for Christmas series boasts eight short ghost stories in perfectly designed packaging (think stocking-stuffer size). Each is short enough to be read aloud in one sitting. Look for the delightfully creepy Afterward by Edith Wharton, or the unexpectedly terrifying tale of an antique collector's desire to complete a set of china in The Crown Derby Plate by Marjorie Bowen. Gillian Flynn's novella The Grown-up (Crown) offers outsized chills in a slim volume (complete with Flynn's characteristic darkness). Or for something a bit longer--perhaps to be read over the course of December, rather than on Christmas Eve alone, John Boyne's This House Is Haunted is a delightfully frightening tale about a haunted house and the family who lives within it. At Signature, "10 authors share the writing tools they can't live without." "If only I'd been warned!" Julian Barnes, Margaret Drabble and other writers chose "books to give to their younger selves" for the Guardian. Bustle considered "17 questions to ask someone who has never read Harry Potter if you want to be endlessly entertained." Atlas Obscura featured "the oldest treasures from 12 great libraries." "Welcome to the home that was designed around a bookshelf," Bookstr noted. Fashion and portrait photographer Richard Avedon (1923-2004) used harsh lighting and bare backgrounds to capture intimate details in black-and-white images. His early work with Harper's Bazaar, Vogue and other outlets broke from standard models of unemotive fashion photography by using smiling or laughing subjects reacting to the camera. Avedon's portraiture maintained a minimalist aesthetic, developing inner lives through stark external details. His large prints have been featured in multiple major exhibitions, including at the Metropolitan Museum of Art in 1978 and 2002. 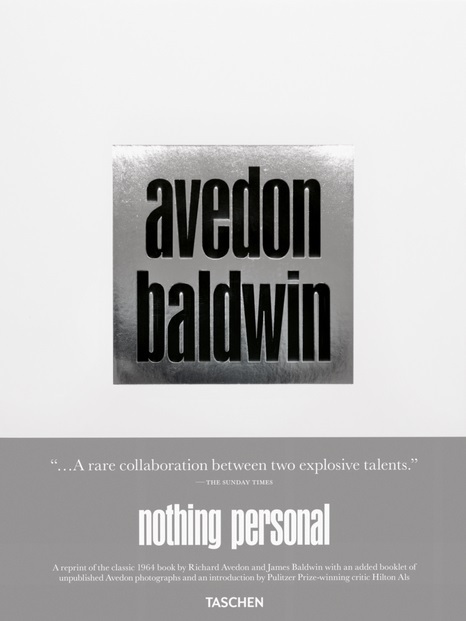 Avedon's work has also been released in coffee-table books. Perhaps his most famous collection is In the American West (1985), a stark departure from his usual subjects, in which Avedon toured the western United States to photograph farmers, truckers, miners and other members of the working class. Ursula K. Le Guin is best known as a writer of fantasy and science fiction, so her latest book may come as a surprise. No Time to Spare is a collection of her blog entries, mostly written between 2010 and 2015. It's a prescription for paying undivided attention to things, as a way to discover, imagine and love. Inspired by Taoist philosophy and influenced by her anthropologist parents, the pieces range from feisty critiques of capitalism and literary trends to quizzical musings about her cat, Pard, the ultimate alien intelligence. 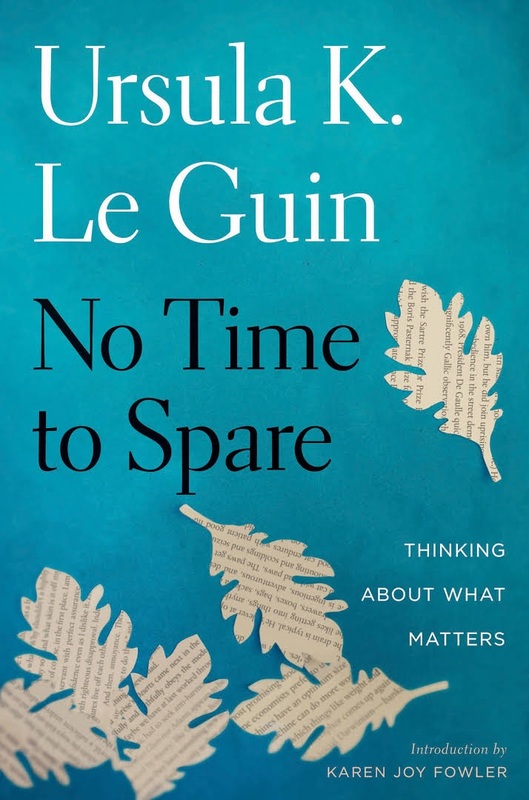 The book's subtitle is Writing About What Matters, and if we are to learn anything from Le Guin, it's that you don't often have to look far for what matters most; you just need to look with care. What still surprises you about (or in) your writing? The hero of your new book--if it can be said to have a hero--is a cat named Pard, whom you regard quizzically and with apparent delight. In that same vein, who or what might you say is the villain in this collection? I never have gone in very much for villains in my fiction, but I guess you could say the villain of this collection is the hero of growth capitalism--The Corporation and the people who sell out to it. Yes, sure, I read all the comments. They're mostly good-natured, and some are thoughtful and enlightening. You say that dystopian literature is yang-driven, and its opposite--utopian literature--is also yang-driven. Is there a literature that presents a realistically complex vision of a world in balance? Or is that just fantasy? Of course it's just fantasy. That's why I write fantasy. What works of fantasy present a realistically complex vision of a world in balance (or of female solidarity)? Trying to think about this, I realized that I was not coming up with any fantasy that presents a realistically complex vision of a world in balance, maybe because we are so unbalanced at this point that imagining a real balance, even if fantasy, is not possible. As for a world of feminine solidarity, that is questionably desirable: solidarity is something you call on in defense or when attacking. I would like to imagine a world of genuine equality, without stupid gender wars and battles of the sexes, where women did not have to consolidate against men or vice versa. I tried to sketch such a world in The Dispossessed. But I don't think I could write that book now. How much of the selection in No Time to Spare was your choice versus your editor's? What surprised you in the process of collecting these pieces? What emerged in the selection and ordering of these pieces that you hadn't noticed before? My editor, Naomi Gibbs, had much more to do with the choices than I've usually allowed or asked an editor for. In fact, I dumped most of the selection and arrangement on her. I figured she knew better than I did which pieces would best survive the transformation from time-sensitive blog to printed essay. If she pulled any big surprises on me, I mostly liked them. What underappreciated or forgotten writers or books are you a proselytizer for (any genre/form)? Which new or up-and-coming writers whom you've read lately would you recommend? I beat the drum and blew the horn for imaginative fiction during the decades when the critics and professors restricted Literature to modernist realism. Jericho finally heard the trumpet, and so now the old science fiction ghetto is getting gentrified beyond recognition. I'd beat the drum like crazy for graphic novels if so many of them weren't either orgies of meaningless violence or recitals of life's cruelty to the author. But it's a lovely form. It'll grow up. To be honest, I read very little of the up-and-coming, because at 88 I get more out of rereading the old-and-still-going. Rereading a good novel or poem is a great source of revelation and pleasure. What novels (or poets) do you most frequently return to for revelation and/or pleasure? It's nearing Election Day 1984, and to support her husband David's run for the U.S. Senate, Danielle Christie represents him at a fundraiser where the alcohol flows. Driving home with Nick, their 16-year-old son, Danielle crashes the car, killing the boy--an event that clinches the sympathy vote and hence the election for David Christie. This is hardly the only irony found in Nicholas Montemarano's third novel, The Senator's Children, which hosts a familiar medley of campaign-story tropes--adultery, love child, scandal--and literary fiction mainstays: broken marriage, psychic scarring, degenerative illness. Montemarano's trick is to work this well-trod ground in a quiet, particularized way. Adopting a roving third-person perspective that spans 1977 through 2010, he gives prominent voice to high-strung Betsy, who since her older brother's death has been visited by "the Nick-feeling." 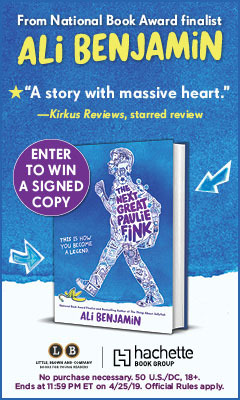 As a pregnant adult, Betsy moves into the Philadelphia brownstone where she grew up to be closer to her Parkinson's-suffering father's nursing care facility. Unbeknownst to Betsy, David has been receiving visits from college student Avery, his illegitimate daughter, although he doesn't know who she is. Discover: Nicholas Montemarano has written an improbably gentle novel about an American political family. Quinn hasn't seen her sister, Nora, in months. When she shows up unexpectedly with a young girl named Lucy, Quinn is full of questions. They remain unanswered, however, when Nora hurriedly departs again, leaving the girl behind. Nora's last statements ring in Quinn's ears: "Promise me you'll keep her safe.... Don't let anyone know that she's staying with you, okay?" Key Lake is a small, close-knit town where secrets are hard to keep, so it's not long before Quinn's mother, Liz, discovers Lucy hiding in the cottage Quinn and her artist husband are renting for the summer. Although somewhat distant and estranged from both her daughters, Liz becomes Quinn's reluctant ally as they race to discover the truth about the little girl with the stone-colored eyes and cornsilk hair who's landed in their lives. In Little Broken Things, Nicole Baart (The Beautiful Daughters) shifts point of view among Nora, Liz and Quinn for a slow unveiling of the story behind Lucy. The tension continues to ramp up as more details about the women and the various men in their lives are added to the twisting plot line that spans a four-day period. Baart shows how these women have been affected and changed in subtle and large ways by the men, who carry the burden of some stereotypes, yet are distinguishable as individuals with their own sets of problems. Discover: When Quinn's sister, Nora, leaves a young girl with her, Quinn tries to keep her safe while unraveling the truth about the girl's origins. Rhys Bowen (Time of Fog and Fire) has written a delightfully seasonal 17th entry in her charming Molly Murphy series. Molly Murphy Sullivan, still mourning a miscarriage a few months before, has returned to New York City just in time for Christmas. But then her mother-in-law, who is a guest at a fabulous house in the Hudson Valley, procures invitations for Molly, her police captain husband, Daniel, and their ward and son to join the party, too. The Van Aikens, who own the estate, are an odd couple. Cedric seems friendly enough but is extremely controlling, and Winnie suffers from strange fits of depression. The source of Winnie's depression is that a decade earlier, the Van Aiken's toddler, Charlotte, wandered into the snow the week before Christmas, never to be seen again. When Molly discovers this, she becomes determined to find out what happened to the little girl. Daniel reluctantly helps Molly question servants and neighbors, but thinks it's a lost cause. Then, shockingly, a teenager appears at the front door claiming to be the long-lost Charlotte. Winnie rejoices, but Molly remains firm in figuring out where the girl has been for the last 10 years. Discover: Molly Murphy Sullivan can't stop being curious--even when she's at a Christmas house party and investigating a mystery that no one wants solved. S.A. Chakraborty enters the fantasy genre with a captivating series opener set in a magical realm peopled by djinn, marids and other creatures from Middle Eastern mythology. On the streets of 18th-century Cairo, Nahri lives by her wits, reading palms and performing exorcisms for the gullible and desperate. Though drawn to healing, Nahri has no access to training and cannot read, so she peddles magic she doesn't even believe exists. Called upon to exorcise a demon from a young girl, Nahri's nonsense ritual produces astonishing results when she accidentally summons the ferocious and drop-dead gorgeous djinn warrior Dara, who protects her from the ifrit possessing the child. An ancient creature with his own tangled past, Dara believes Nahri is a shafit, a hybrid born of human and djinn parents, and resolves to take her to Daevabad, the enchanted city of brass. Because of her power to summon Dara and her gift for healing, Nahri must be related to the Nahid, a prestigious family of djinn healers. They are supposed to have been wiped out, however, by the family that now rules Daevabad. The city awaits Dara and Nahri with a labyrinthine mess of political subtleties neither are prepared to navigate. Discover: Nahri, a con artist in 18th-century Egypt, enters a world of magical intrigue when she accidentally summons a djinn warrior during a fake exorcism. As promised, the recipes in Smitten Kitchen Every Day, are unfussy and quick, yet "an escape from drudgery." Deb Perelman (Smitten Kitchen Cookbook) launched her blog in 2006, and readers inspire her. "The stories in the comments and in my inbox are as much about the cooking as they are about the life around it." She notes, "these recipes don't just fit into our lives, they make us happy." She's committed to happy family meals, as photos of her children--Jacob, now seven, and toddler Anna--attest. Chatty recipe intros include personal and food history. Her Sizzling Beef Bulgogi Tacos emanate from memories of summer days at the Jersey Shore, home to her favorite Korean fusion tacos. Discover: Smitten Kitchen blogger Deb Perelman's second cookbook reflects her commitment to standout yet easy recipes for every meal. In her concise account of white supremacy, The Second Coming of the KKK: The Ku Klux Klan of the 1920s and the American Political Tradition, historian Linda Gordon dispenses with preconceptions of backwoods Southern racists and instead reveals a well-mobilized social movement sweeping across the nation. With smart, lively prose, Gordon (Feminism Unfinished) reexamines conflicts of the past. From the outset, she declares, "I cannot and do not wish to discard my values in interpreting the past." In delving into the United States's painful legacy of racism, Gordon never sympathizes with the cause. She instead dissects the underlying social structures of the KKK to understand better its persistence in American culture. In the 1920s, Gordon explains, the KKK experienced a popular resurgence. Unlike the 19th-century Klan, which sought to subjugate freed blacks, the 20th-century iteration widened its antipathies to include Hispanics, Catholics, Jews, liberals and immigrants. Discover: Historian Linda Gordon unmasks the KKK in this timely analysis of white supremacy in the 1920s. In 2014, journalist Reni Eddo-Lodge wrote a widely shared blog post expressing her frustration with the inability of most white people to listen to what people of color, like herself, have to say about racism. Since that post, paradoxically, "I now spend most of my time talking to white people about race." She wrote this book out of "five years of agitation, frustration, exhausting explanations, and paragraph-long Facebook comments" in order to continue the conversation. Discover: A clear and convincing dissection of racism and the white denial that perpetuates it. Tortillas, Tiswin & T-Bones is Gregory McNamee's absorbing survey of the ever-evolving and infinitely interesting cuisine of the American Southwest. Tucson resident McNamee (The Ancient Southwest; Moveable Feasts) marshals research of times prehistoric to present, pulling from a mélange of fields and sources: anthropology, archeology, cookbooks and a variety of writers, chefs and other historians. Corn, beans, squash and chiles are the foundation of Southwestern cuisine, and after compiling a history of these, McNamee examines other foods indigenous to the Americas, as well as many introduced via European conquest and colonialism. His scope even includes fusion dishes served by modern food trucks touting flavor combinations from across the globe. But the first recipe he offers? Roast Mastodon: "Skin, butcher, fillet and roast." Equal parts authority and respect propel McNamee's writing as he investigates the web of forces that have flavored and shaped Southwestern cuisine over millennia, resulting in the ubiquity of the taco and the "Southwesternization of the American palate." He notes the 1992 shift that marked salsa outselling ketchup, as well as other relatively contemporary movements, like the story of Duncan Hines or Doritos, Michelle Obama's fondness for nachos as a Super Bowl snack, and "precolonization" menus created by Native American chefs. Discover: The origins and complexities of Southwestern cuisine come alive in this exhaustive, entertaining exploration of American anthropology and appetites. Best known for her speculative fiction, most notably the Earthsea saga, Ursula K. Le Guin is prolific in multiple genres, and unapologetic about it. At 81, she decided to try her hand at blogging, though she loathed the term ("it sounds like a sodden tree trunk in a bog"). Seven years later, she's still posting brief, witty, often acerbic essays on her blog, musing on the vagaries of old age, the proliferation of profanity in books, the joys of receiving fan letters from children and the antics of Pard, her beetle-obsessed cat. 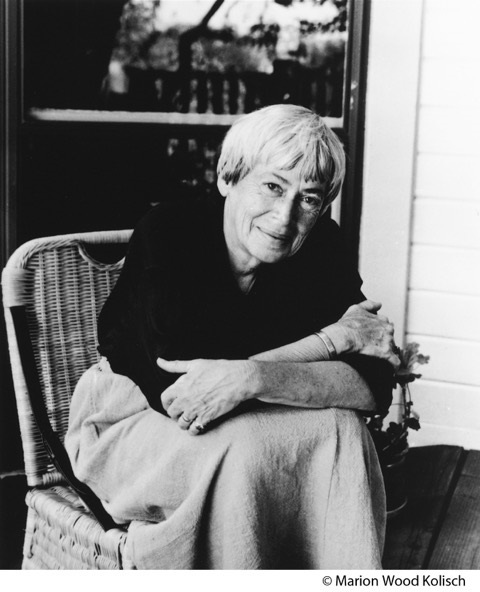 No Time to Spare presents the best of Le Guin's blog: sharp-eyed, big-hearted, idiosyncratic and highly enjoyable. Both Le Guin's eye for detail and her dry wit are on full display here. On the craft of writing, she says, "Words are my matter--my stuff. Words are my skein of yarn, my lump of wet clay, my block of uncarved wood." Her essays on literature, politics and aging are interspersed with "The Annals of Pard," a chronicle of "being chosen" by a small rescue cat. "We call him the good cat with bad paws," she says, noting dryly, "There used to be a lot of small delicate things on shelves around the house. There aren't now." Discover: Prolific author Ursula K. Le Guin muses on aging, cats, politics and writing in this keen-eyed, big-hearted essay collection. "Sea level rise is one of the central facts of our time, as real as gravity," writes journalist Jeff Goodell (How to Cool the Planet) in the prologue to his latest, The Water Will Come: Rising Seas, Sinking Cities, and the Remaking of the Civilized World. What follows is an urgent, clear-eyed and downright terrifying account of just how poorly prepared humanity is for the degree of sea-level rise most scientists are predicting will occur by the end of the 21st century due to climate change: three feet according to some, as much as nine feet according to others, says Goodell. Each chapter is scrupulously researched yet written in the clean and accessible style of a journalist who's perfected his craft. In addition to working as a contributing editor at Rolling Stone, Goodell is the author of five other books, two on the subject of climate change. That pedigree has earned him jaw-dropping access to some of the world's most influential people. Here Goodell accompanies Barack Obama to the Arctic and asks him to describe the moment he knew climate change was real. Later, he asks Bill de Blasio, mayor of New York City, whether the time has come "to consider moving people out of low-lying areas of the city." The answers both men give are alone worth the price of the book. Discover: A rigorous yet accessible account of how humanity must better prepare itself for rising sea levels or suffer catastrophic consequences. Originally begun as a social media project during Black History Month, Little Leaders: Bold Women in Black History highlights courageous African American women who broke new ground by following their dreams--women who persevered, didn't listen to "no" and found success despite overwhelming odds. Bessie Coleman was denied entry to "every aviation school in America," so she moved to France and "became the first African American woman in the world to receive her pilot's license." Phillis Wheatley was "the first African American woman poet ever to be published." Rebecca Lee Crumpler, who attended "a private school in Massachusetts," became "the first African American woman physician in the country." And, at 80 years of age, Alma Woodsey Thomas had her colorful paintings exhibited at the Whitney Museum of American Art, "the first-ever solo exhibition of an African American woman artist at one of America's most important art museums." Discover: This collection of mini-biographies highlights 40 extraordinary African American women. A young daughter is "having a hard time falling asleep tonight." To lull her to "dream," her mother offers a story about "a baby wrapped in a white sheet and her mother smiling at her." That baby is the titular jazz legend Nina Simone. Her first childhood memory at "about three" begins with playing the piano: of the 52 white keys and 36 "smaller" black keys, she prodigiously recognizes, "[w]hite was whole. Black was half. It was that way everywhere and for everyone." Refusing to accept she "was worth less than other people," Nina finds solace and sanctuary in music: "The notes had to mingle and dance together in the air so these lies would disappear," she insists. "Music has no color. In music there is only one rhythm. Only one heart." Music gives Nina her voice--as she plays, sings, dreams. At her first concert, 12-year-old Nina demands a front-row seat for her mother after she is moved to accommodate white guests. "Later, much later," she embraces the dreams of Martin Luther King as her "symphony. Black and white people could come together in the big dance of life." That "fragile" dream she entrusts to her now-sleeping child. Discover: In this French import, iconic jazz singer and activist Nina Simone encourages her young daughter to dream by sharing a goodnight story about her legendary life. Ginger the redheaded gnome is tired of "everygnome" not seeing past her hair to the real her: "I like my hair," she tells her friend Al; "I just want to be known for something else. I can run fast and jump high and catch the wind!" Al, who's had his own share of hair-related identity crises (as seen in Kirsten Mayer and Laura K. Horton's Go BIG or Go Gnome), suggests she prove herself in the Winter Gnome Games. Exuberant Ginger goes all out and is definitely the fastest and best in every event. Unfortunately, she also keeps bending the rules and getting disqualified. She stands up on her pinecone shingle sled, effectively inventing gnome snowboarding. She speed skates during the figure skating competition. And in the curling, she whacks the curling stone across the frozen puddle and straight into the judge's hat, which he's just removed to scratch his head. Worst of all, the cheering crowd continues to focus on her hair: "Go, Red!" It's not until her superior hill-shredding, speed-skating and target-aiming skills are needed for a real-life emergency that everygnome finally sees her for her true, strong, heroic self. Discover: In a sequel to Go BIG or Go Gnome, a gnome named Ginger aims to prove that she is more than just a gnome with wild red hair: she has mad athletic skills and a hero's heart.